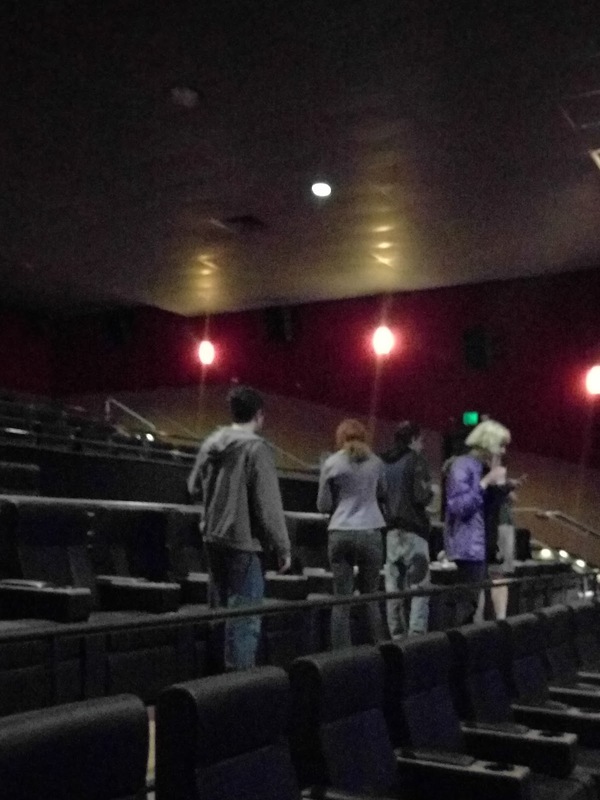 The employees at the theater wear name tags that, in addition to their first names, give and the name of their favorite movie. His name tag read, “Godzilla.” (I should have asked him if he prefered the 1998, 2014 or original 1954 [“Gojira”] version of the movie, but I’m pretty sure he just wanted the name.) He said that another guy had “The Dark Knight” on his tag and soon every referred to him by that name. A gal who worked there went with “Star Wars Episode IV: A New Hope", and there was barely room for her real name. 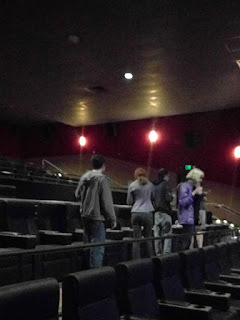 If you’ve followed us through the States, you know we’ve had our differences with Regal Cinemas. But we have no complaints about the seats in this theater: big, comfy recliners with reserved seating. A treat for us was being with our whole immediate family. One daughter and her husband live in Redmond, Washington, and our other daughter and our son flew out to be with us. So we went together to see the new Pixar film, Finding Dory. We went to the first Pixar film, Toy Story, as a family; we’ve seen many other Pixar films together since then (including 2003’s Finding Nemo, the origin film for Finding Dory). Before the feature, the Pixar short titled Piper (about a baby sandpiper) pressed the federally regulated recommendations for cuteness without quite crossing the line. 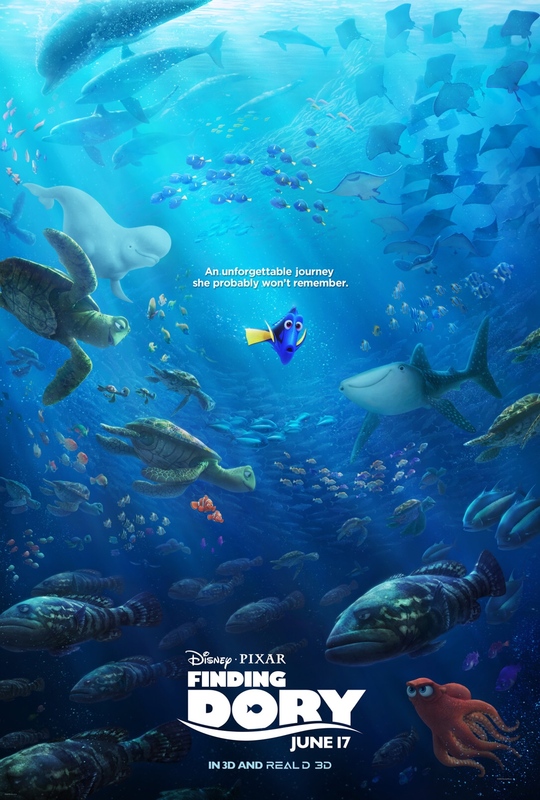 Finding Dory was quite enjoyable, probably mid-range Pixar -- which is far above the average film released these days. We learned some interesting science in the film. Apparently fish just need to be in water. It doesn’t matter if it is fresh or salt water. The temperature of the water doesn’t matter either, fish are apparently fine with any H20. Octopi are capable of driving motor vehicles. Basically, the physics in the film bears a striking resemblance to the physics found in your classic Golden Age Warner Brothers Looney Toon (think of the coyote with rockets and magnets). I was fine with all of that. The theme of the film, as with many animated family films, was the importance of family. Family is given a very broad definition, probably closer to a tribe than the 1950’s American definition of a nuclear family. The kind of family these films promote is really something that churches should emulate.